Although Lehigh-Lafayette is college football’s most-played rivalry, ticket sales have decreased significantly for this year’s 154th Rivalry game. Richard Haas, the assistant athletic director for sales and marketing, said students have not been in a hurry to buy tickets. Student tickets have always sold out in past years, but for some reason, Haas said there has been less demand for the 154th Rivalry game. Haas said the student price for tickets has remained relatively consistent for the past decade. 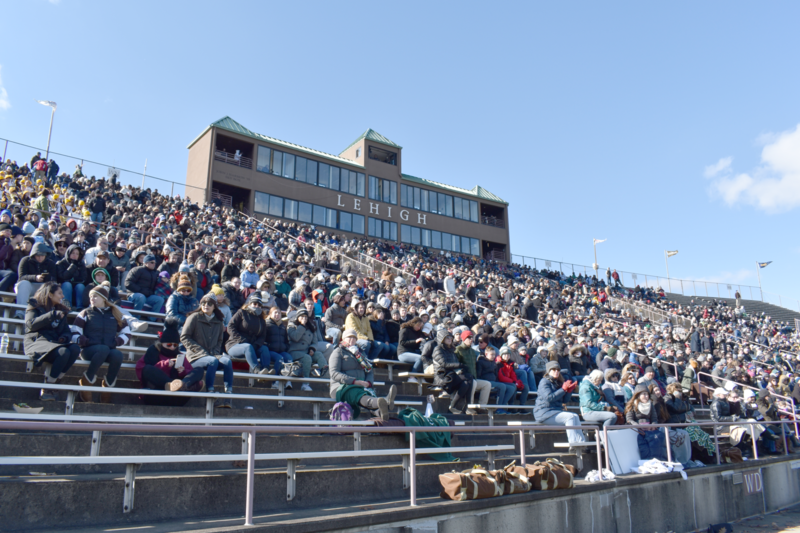 Goodman Stadium has about 1,000 more seats than Lafayette’s Fisher Stadium, so when The Rivalry game is at home, Haas said Lehigh Athletics provides 10,000 tickets with about 3,000 reserved for students. Away games historically have sold over 2,000 tickets to students and about 2,500 to faculty, staff and alumni. Bus passes to Lafayette are on sale until Tuesday for students to purchase. Haas said student ticket purchases are distributed relatively evenly across different class years at the university. Barbara Turanchik, the director of Club Sports, was part of the first class of women to be admitted to Lehigh. She remembers all students would attend every game to support the athletic teams. However, to her, it seems sensationalist when students only show up when there’s a big game or victory. Alumni and students tend to go to home games more often because it’s easier and more familiar. 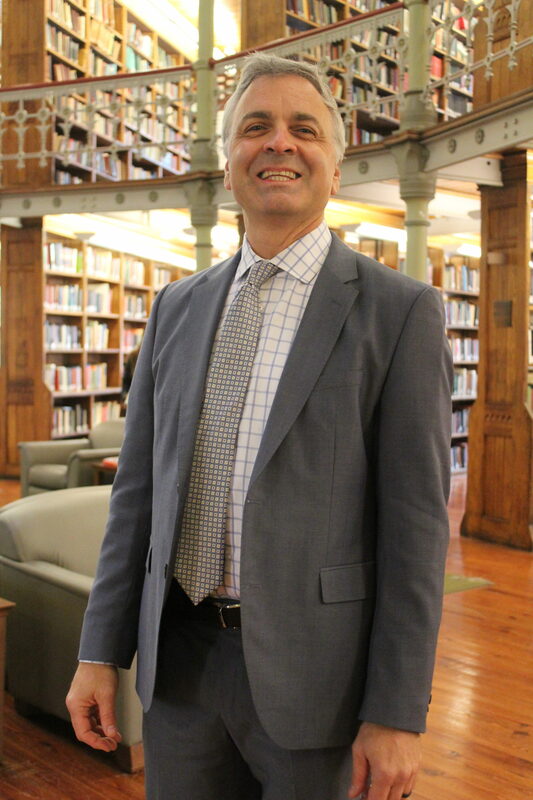 Turanchik said when students go to Lafayette, they may have trouble meeting up with friends or locating parking. “When it’s home, we have more people because it’s looked at as everybody coming back for Lafayette,” Turanchik said. She said tailgates have dissipated in the last five years, which may account for lower student attendance. She said students can also just stay home and watch the game on TV. Jane Josephson, the director of Intramural Sports, agreed. “When you can tailgate, to me that is part of the spirit, but going to Lafayette is hard because those places don’t exist anymore,” Josephson said. Rivalry Week, like in past years, will include bed races, however, the Turkey Trot and bonfire are canceled due to weather conditions. Lehigh After Dark said in an email that there will be an indoor event in Lamberton with food and performances instead of the bonfire. Josephson, who is in charge of the Turkey Trot, said sign-ups for the run were also at a low — the lowest she has seen during her 31 years at Lehigh. As a 63-year-old tradition, the Turkey Trot is the oldest tradition at Lehigh besides The Rivalry football game. Josephson said nothing has changed about the way that the event is advertised, but there were only 339 people registered for the run, compared to the usual 500. Of those 339 registrants, only 200 were students, including graduate students. Faculty and staff made up 86 of the registered participants, and 53 of the people registered were from the rowing team because the coach required it as part of the team’s training. Josephson said there were as many as 800 participants in the first Turkey Trot. Bea Maloney, ‘19, the president of the Association of Student Alumni, said there is usually strong student turnout for bed races. The limit for the event is 32 teams with five members per team. Though there is no minimum, she said it would be ideal to get 32 teams to sign up in order to break even with costs. Maloney said three years ago, there were about 29 or 30 teams that registered. Two years ago, 28 teams registered, and last year only 23 teams registered. Maloney said having the bed races on Memorial Walkway provides enough space for students to watch, but many leave as it gets later in the evening and colder outside. Maloney said ASA members are satisfied with any involvement and participation by students, but they really want to see more of the campus being represented at the event. “I would say that we think there’s room for progress in the number of people that come to watch,” Maloney said.